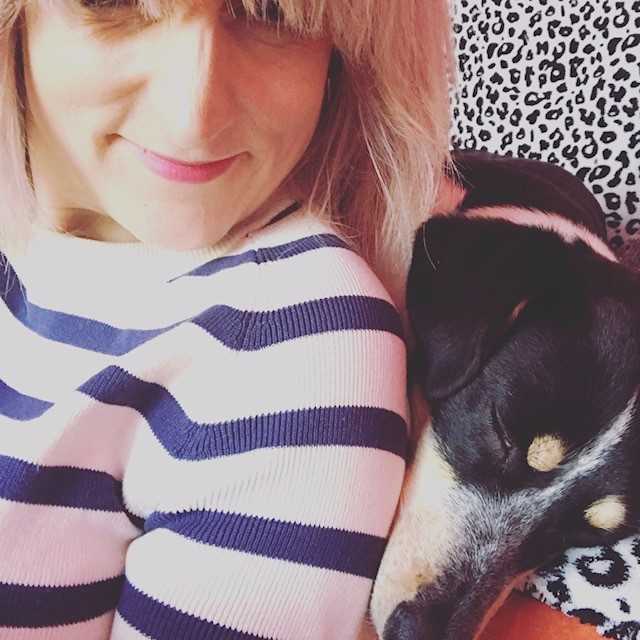 'I adopted Sadie on the 30th March 2017 - I've had cats all my life and always loved dogs, but I am a first time dog owner and also single and I work, so I had always thought I couldn't have a dog. A year ago I completely changed my lifestyle and gave up drinking, getting into recovery, and as I grew as a person I also felt I had more time in my life to commit to a dog. I spoke to people at work with dogs and found out more about the concept of doggy day care! My cats are rescues from Celia Hammond and I knew I had to rescue a dog too. My friend had previously adopted from WAHF and after speaking with Alicia and Eve, they seemed to understand me and my lifestyle. My colleague at work who has a dog actually spotted Sadie (then Dolly) on the website and thought she sounded perfect as she had met cats, and seemed very chilled for a one year old. The checks were thorough and no problem, and the support with what I needed to do to get ready for Sadie's arrival. I also spoke to David, the behaviourist, at length about my fears of the cats not coping. I bought a cage, and lots of other bits and then just waited. When Sadie arrived on the 30th, she had been travelling for four days and the couriers were so lovely with her. She was really scared of course, and didn't know who the hell I was! I was equally as overwhelmed and didn't really know what I needed to do, so we just hung out. The next few weeks are a bit of a blur, but she soon became house trained with puppy pads and encouragement. The cats reacted in different ways, but she never chased them and they all now rub along together just fine. 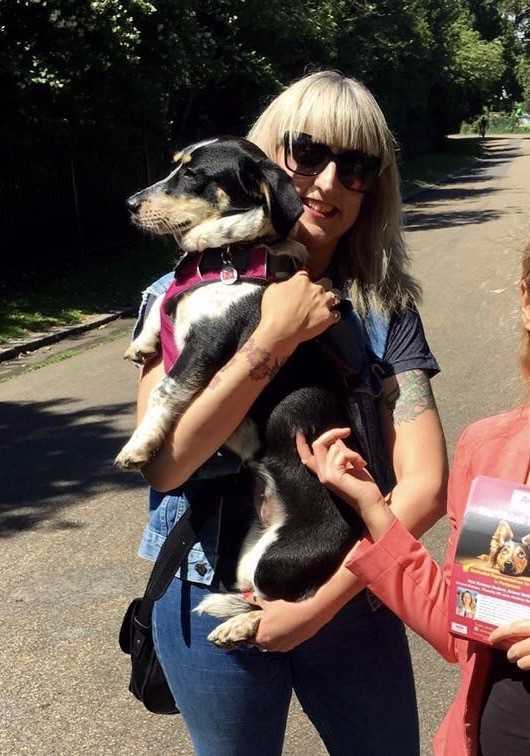 She didn't like walks at first, and whenever she just stopped, I would pick her up and carry her for a little while, and then try again - I don't know that this would work for all dogs, but yesterday we did a 14km dog walk and she only needed to be carried once! She's just such a lovely natured dog, and the support I have received from WAHF has been amazing. She developed a sudden refusal to go into the kitchen, and David was just a phone call away for advice. She's now fine to go in there again. I feel completely supported. The description of Sadie's temperament was 100% accurate and her welfare was always number 1 priority. She is an absolute joy and we are both learning every day, but after three months, I can't wait for the rest of our lives together!